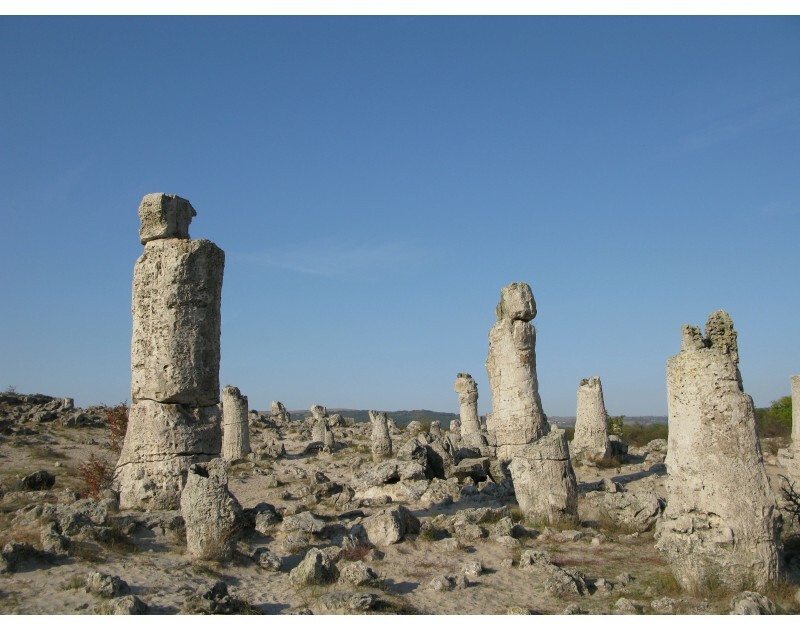 Natural phenomenon “Stone Forest” is better known with its Bulgarian name “Pobiti kamani” which could be translated as “stones beaten into the ground”. 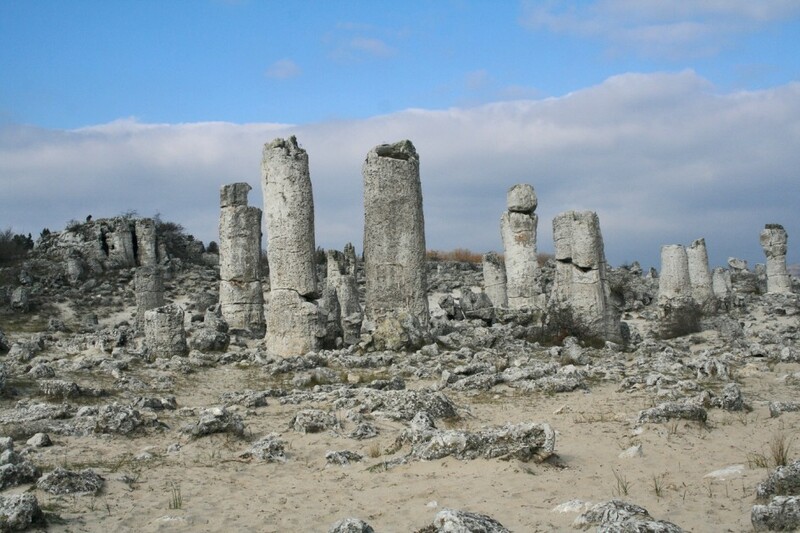 Seven large and several separate small groups are located on the north and south from the Beloslav Lake. 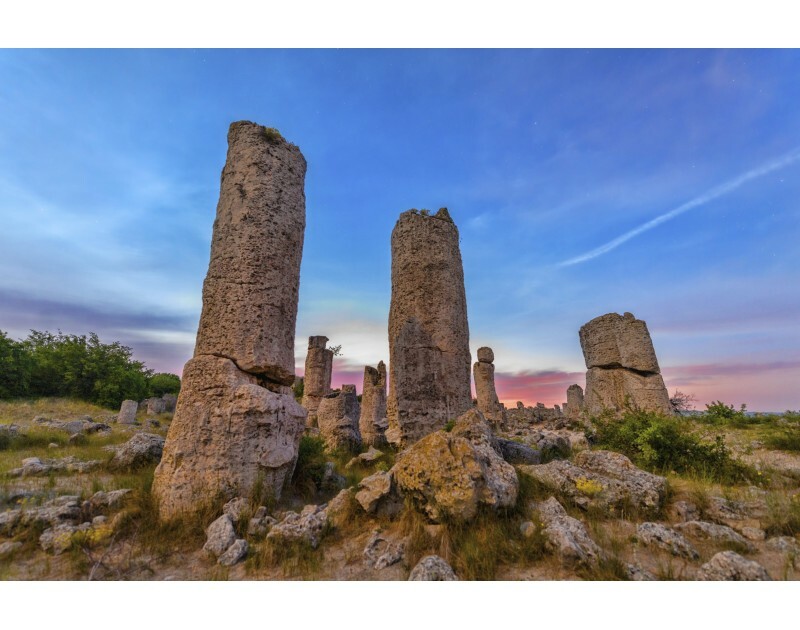 These are numerous limestone pillars as high as 10 m, hollow or solid cylinders, truncated cones and single rocks and cliffs. 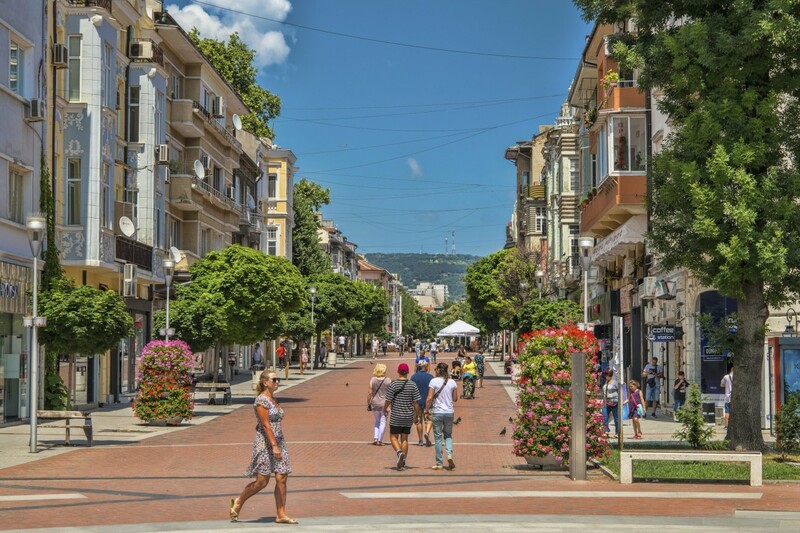 The most famous and impressive is the group named “Center - South”. 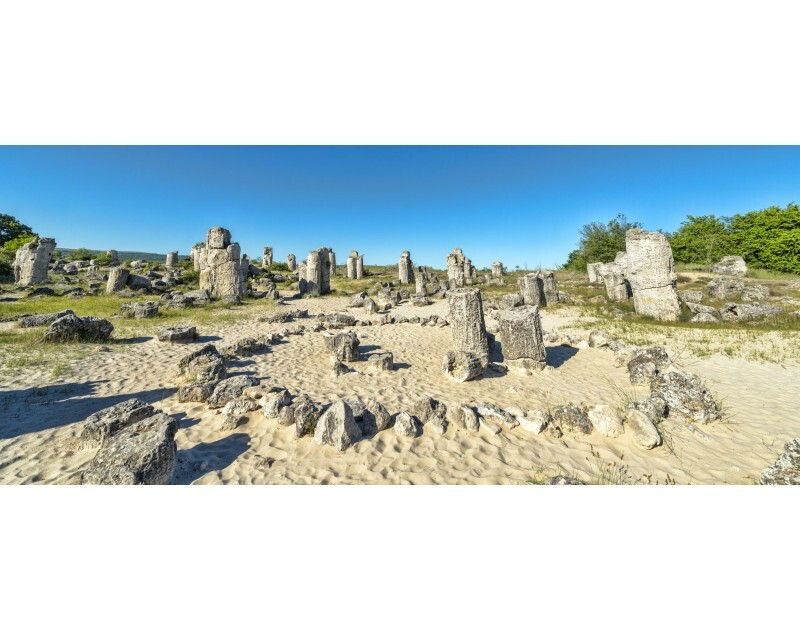 It is located 18 km west of Varna and numbered about 300 large and small columns, up to 6 m high, rising mainly south of the old road to the town of Devnya. 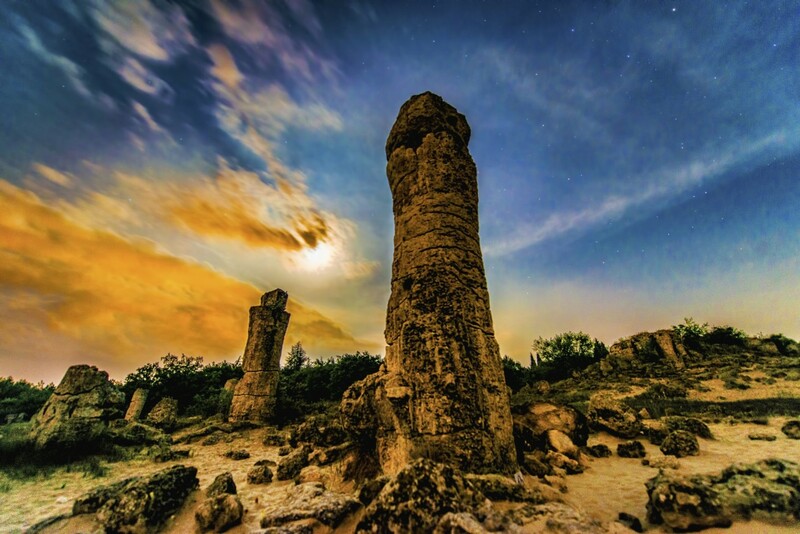 Several hypotheses about the origin of the phenomenon have been developed. The scientists describe designing of the structures by mechanical acting of the environmental factors (sea waves, wind, rain) or precipitation of carbonate from infiltrated ground waters (stalactite mode of formation), coral complexes, algal bio constructed build-ups (bioherms), petrified forest and natural gas seepages so called "the bubbling reefs". We still cannot say which of these hypotheses give the best explanation of the origin, but the idea that they are human creation is excluded. 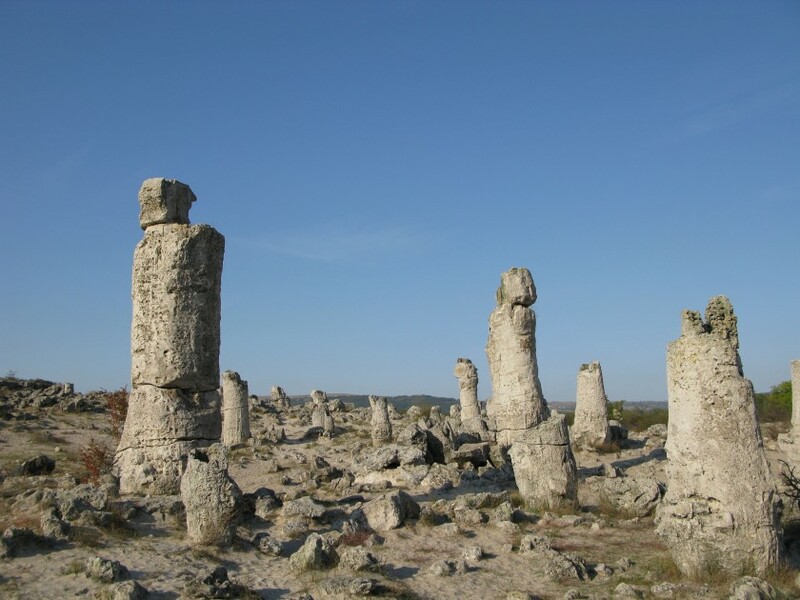 “Stone Forest” has been one of the first protected areas in Bulgaria since 1938. 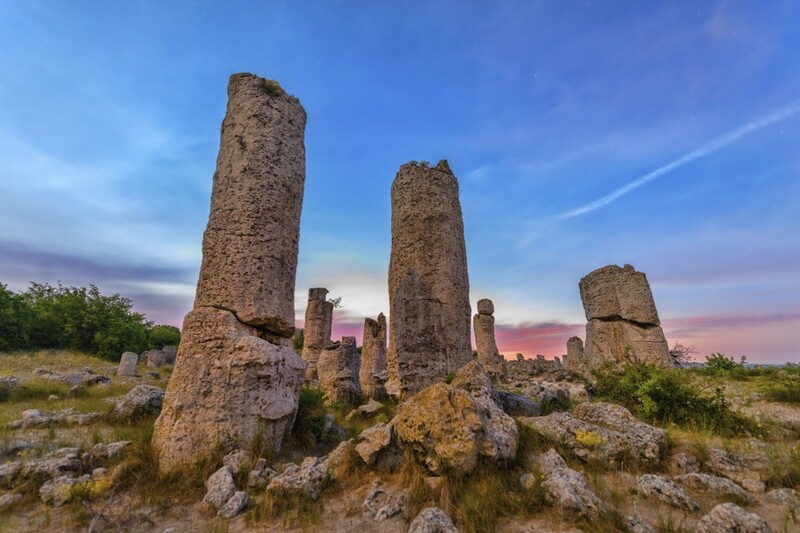 Nowadays, it is part of the ecological network Natura 2000. This area has a big conservation value as the largest inland sand habitats in the country, with its specific flora and fauna. 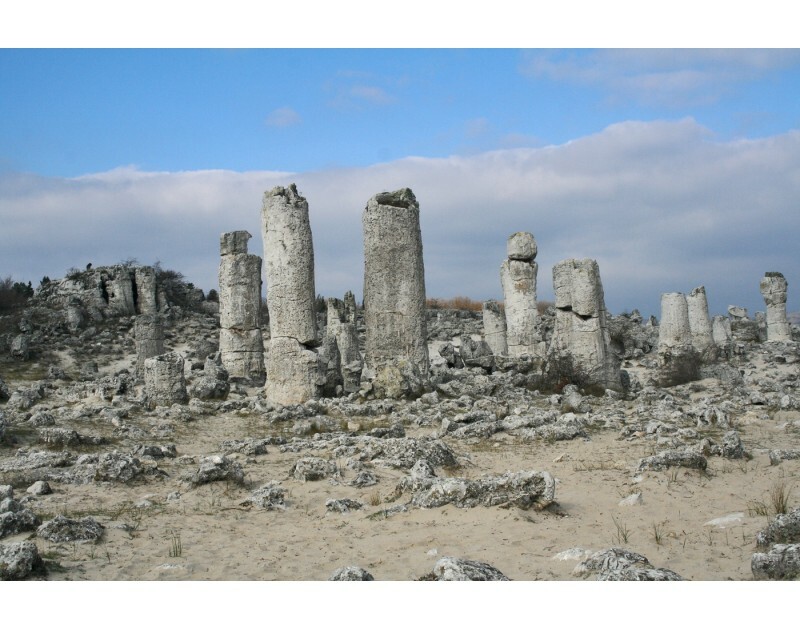 “Stone Forest” is the only place in Bulgaria where the archaeologist found evidence of human life in the Mesolithic. In winter: 10 a.m. - 5 p.m., Days off - Saturday and Sunday.